Can a Spouse be Ordered to Pay an Ex's Medical Expenses after a New York Divorce? While divorce has become a very common concept in the western world, there's still a lot that most people don't understand about the nature of separation, and how it can affect their lives. When you decide to bring an end to your relationship with your spouse - for any reason, there are a number of questions that may go through your mind. The chances are that you'll think about how property is going to be distributed between yourself and your ex-partner. You might also wonder about things like child custody and visitation rights. However, it's worth noting that the orders a court can make during a New York divorce are more complex than you think. One issue that Long Island Divorce Lawyers like Darren Shapiro often bring up with his clients is the concept of "medical expenses" and whether it's possible for the court to order these costs to be paid after a divorce takes place. After all, the New York Supreme court can order other money to be paid from one spouse to another as part of a maintenance award. This maintenance can even be delivered in different ways. Sometimes, a certain amount will be paid during the "pending" stage of the divorce, until the courts have had time to fully assess the details of the relationship. When it comes to considering things like spousal maintenance, the court of New York is required to look at a number of different factors. Often, the formula for maintenance is based on a series of elements addressed in Domestic Relations Law, section 236(B). This statute reveals that the court needs to look at certain parts of the relationship, and elements associated with the two spouses when determining when they should deviate from the standard formula guidelines for maintenance, spousal support, or temporary maintenance. For the most part, the factors to consider remain largely the same for most kinds of maintenance awards. The biggest difference is that temporary maintenance or spousal support is only designed to last during the divorce proceeding while post divorce maintenance is usually for a set period of time following the divorce. When it comes to figuring out whether the court should order one spouse to pay for the medical expenses of another, Divorce Attorney Shapiro draws attention to the elements outlined in the domestic relations law once again. The statute lists various things that the judge needs to consider when awarding any kind of financial reward. None of these elements explicitly mention the payment of medical expenses when making maintenance decisions. 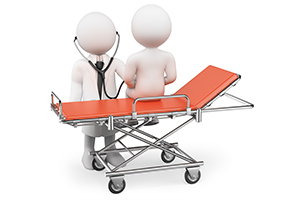 However, it is worth noting that several of the factors that can affect maintenance would relate to medical expenses. This could mean that the court decides to indirectly consider medical expenses when deciding how much a party is awarded in support. Aside from the factors that the domestic relations law that address things like the health of the spouses, and their earning potential, there's also a "catch-all" element that allows the court to look at "any other factor" which they consider to be "just and proper." This simply means that while the courts of New York aren't necessarily likely to order a party to pay outright for the future medical expenses of their ex-spouse, they may consider an underlying illness, and the effect it has on a spouse's opportunities for earning in the future. As divorce lawyer Shapiro reminds his client, this could mean that medical issues appear as a reason to deviate from the standard amount of maintenance given in a divorce. It could also mean that the courts decide to adjust the duration of the maintenance award too. When it comes to distinguishing how medical expenses will impact the decisions made during a divorce case, it's important to remember that the courts will need to separate future medical expenses from costs that have already been incurred. Up until this point, we've addressed future medical expenses and the impact that they could have on a spouse's ability to keep themselves supported in the years to come. However, for expenses already incurred, the court may decide to assign those costs to the other spouse as part of their plan to equitably distribute assets and debts between both parties. When making this determination, the court will consider the same factors used for any equitable distribution case. If you're currently in the process of a New York divorce, or you're thinking about filing for a divorce sometime soon, it's important to make sure that you have the right assistance on-hand. The mediation and family law office of Darren Shapiro can help you understand the complexities of maintenance, support, and other divorce elements. To find out more about how we can help with your situation, contact us on (516) 333-6555, and arrange your free initial consultation, up to a half hour free, today.